Thierry Voisin of Thierry Voisin Partnership tells me that he and Claude Niek of CSO yachts will be joining forces to auction a selection of yachts in Nice in late October. 10 yachts will be on the block, headed by a Maiora 31 and including a very pretty 25m Royal Huisman sailing yacht. 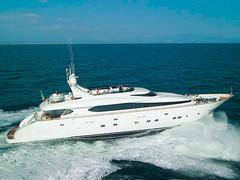 Viewing is in the Port of Nice from 10am to 6pm on Friday, October 23rd and 10am to noon on Saturday, October 24th. The auction itself will be held at 15 Rue Dante, Nice from 2:30pm on Saturday October 24th.